Breakfasts "house" and warm (...). 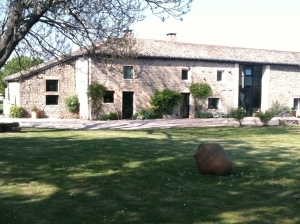 2 spacious guest rooms of charm in an old vineyard of the XVIIIth restored in family (...). 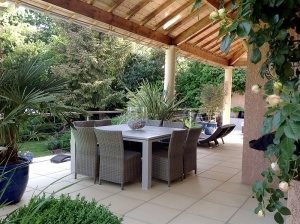 In the heart of Charnay-les-Mâcon, a town that adjoins Mâcon, this house of the 40s offers you a real surprise: push the garden gate and it is a little green paradise in which you will stay. 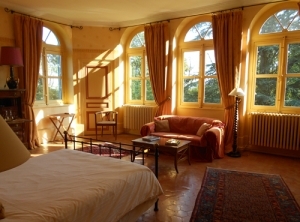 In her haven of peace, surrounded by luxuriant vegetation, Marie-Laure arranged a family suite, which (...). 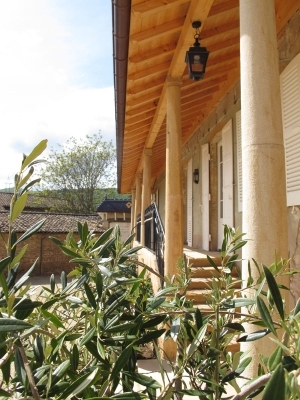 From this peaceful balcony overlooking the Saône valley, one can appreciate the amazing tranquility which is evident from the panorama on the vineyard of Juliénas. 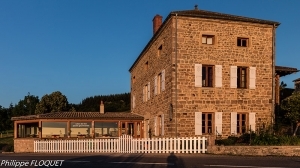 A few kilometers from the A6, Béatrice welcomes you in its 3 large rooms: the room Terre is on one level and has 2 spaces, ideal for (...). 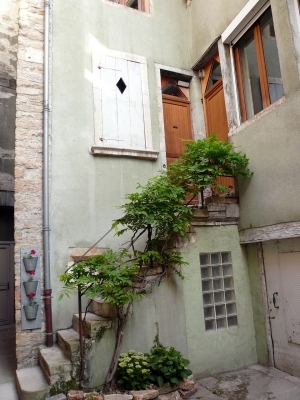 Ancient apartment, typical of the center of Mâcon. 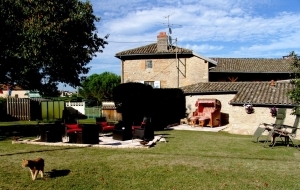 Access near all services, close to the quays of Saône, restaurants, pedestrian zone of the old quarters, railway station of the city center a few minutes with feet, bus stop (station TGV) in the street Lacretelle ... for discoveries MÃ © (...). Shops nearby (bakery, charcuterie, wine merchant, cheese (...). 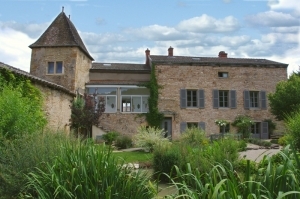 A wonderful typical XIXe estate, le château de Bellevue is located in Villié Morgon in the north of Beaujolais region and is overlooking the Saône river valley. 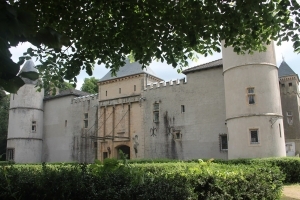 Once the home of distinguished families such as the Lumière, inventor of the cinema, and the Princess Lieven of Russia, the estate (...). 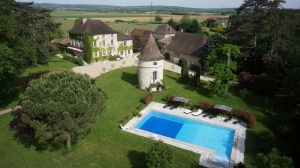 Château de Mirande is embedded in the beautiful countryside of Southern Burgundy, home to the world famous Mâconnais and bordering onto the legendary Beaujolais vineyards. 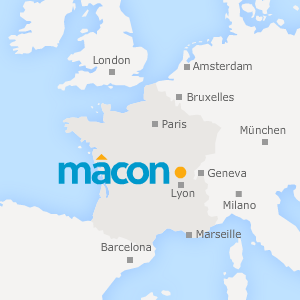 The enchanting town of Mâcon with its Mediterranean flair and Tournus with its impressive St. Philibert's cloistered church (...). 5 guest rooms of charm including 2 family suites in the exceptional setting of the castle of Pierreclos. 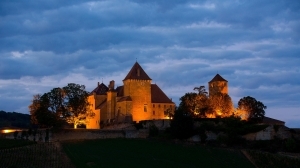 We welcome you to our home where you can experience the life of a castle, sleep in comfortable rooms. 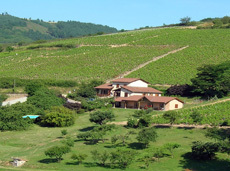 The historical visit and the tasting of the wines of the domain are offered (...). There are 5 comfortable rooms with ensuite bathroom. Breakfast is served in the salon or on the terasse , the Baroque salon is is also available for our guests, there are several (...). 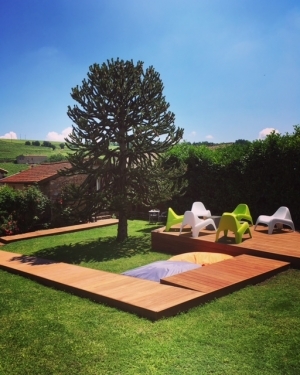 In a beautiful Beaujolais house in the heart of the vineyard; we offer, at the bottom of the courtyard with independent access, 2 bedrooms overlooking a flower-decked terrace, breathtaking view and quiet assured. Sleeps up to 6 people, a microwave is at your disposal, comfortable bed. 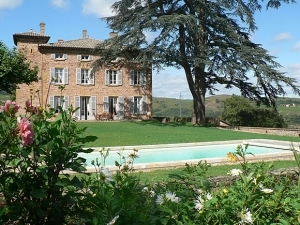 At 28 km northwest of Lyon, this beautiful mansion, dating from the 18th century, is at the heart of the Beaujolais region. Located near the village of Saint-Julien, its history is closely linked to the Hospices de Villefranche. Five spacious rooms are at your disposal (with (...). 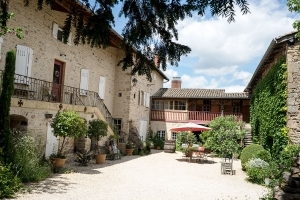 A beautiful Burgundian residence of charm. 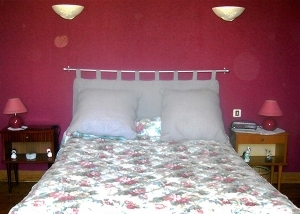 the 5 rooms pleasant, are decorated in a neat and refined way. 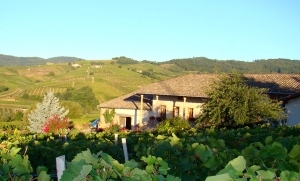 The family continuation offers an access to the veranda and the pleasure garden, with a beautiful sight on the vines and the natural source which crosses the garden. Attentive reception of the (...). Each is air-conditioned and has a private bathroom and toilet (whirlpool, (...). When we found this pretty house in the village of Fuissé, in the heart of Burgundy, we were all three angels: the house we dreamed of welcoming our guests ... Welcoming, with its large kitchen and its imposing family table one discovers as soon as one pushes the door of entrance; spacious with its (...). 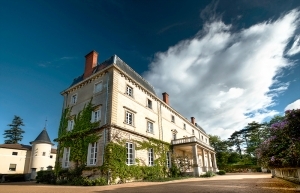 Wine estate with five guest rooms and five oeno-tonneaux located in Lugny, in southern Burgundy, in the heart of Mâconnais. 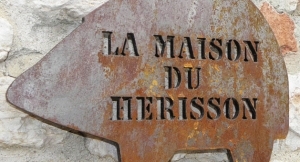 This house was formerly dedicated to the hotel business. 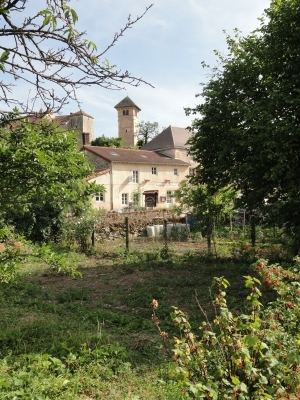 Today, 5 guest rooms welcome you in the heart of Lugny. The table d'hôte will make you discover regional flavors accompanied by local wines. The house has a bar open all day with an indoor terrace. 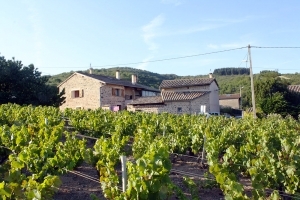 On the wine trail, in the heart of the Mâconnais and Beaujolais vineyards, we will be happy to welcome you and to make you discover the cultural and gastronomic heritage of Southern Burgundy. 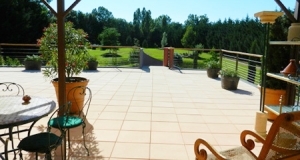 At the Raisin Bleu, Catherine, Christian offer independent ”chambres d’hôtes”,on the ground floor with direct access to the garden or on 1st floor with balcony, specimen trees, in a well stocked 5000m2 mixedorchard, vegetable garden, and a warmed swimming-pool (solar panels) from may to (...). 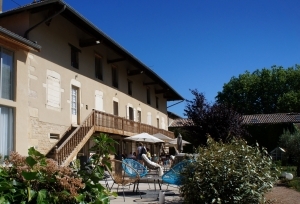 10 km from Cluny, in the heart of the medieval village of Blanot, at the foot of the priory and the church. 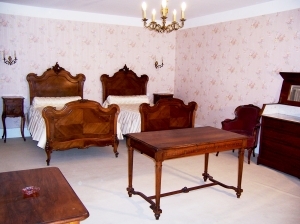 In a completely restored building, 4 comfortable rooms (4 doubles, one with its living room and sofa bed). 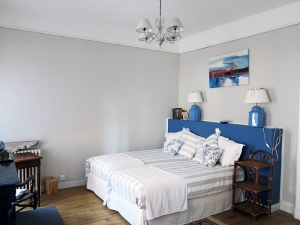 Each room is equipped with its amenities and its walk-in (...). 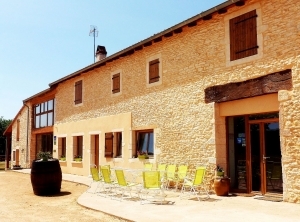 Bed and Breakfast in the heart of the vineyards of Burgundy. Private bathrooms (Claw foot bathtub and/or Walk-in shower). Breakfast included with home-made and organic products.